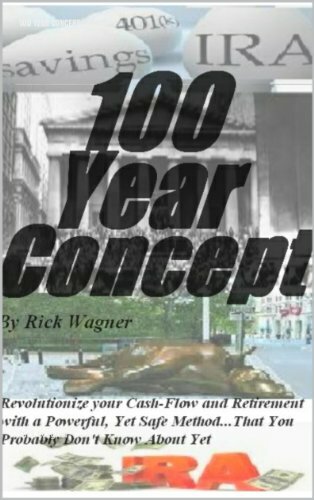 The 100 Year Concept is about generating wealth on any income. It's about how individuals and businesses can be completely debt-free in nine years or less including their mortgages, and how to ensure they will have a secure, comfortable retirement income, all without spending any more money than they are currently spending. This book is written to help someone negotiate the world of personal finance. Understanding savings and investments - for the long and short term - need not be a big mystery; nor should it be something the average person is afraid to look into. The book is about getting rich - not only in terms of money but in every possible way, including relationships and health. The book is quite short and the language is simple. The author doesn't get into philosophies or theories. The book teaches one how to deal with dangerous or life-threatening circumstances. The approach entails relaxing in the face of danger so you can correctly perceive the problem. Then you use certain technical skills to deal with the problem. Everything You Know About Money is Wrong!